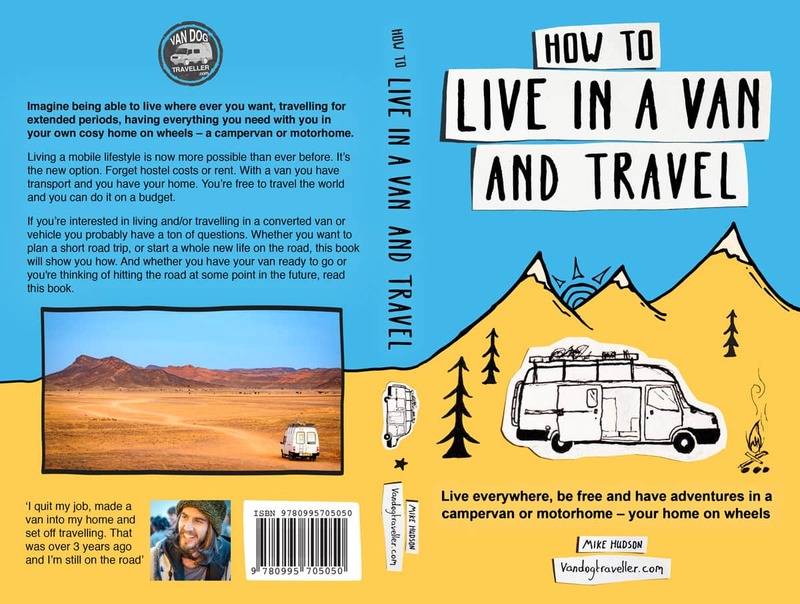 When we lost our jobs and were faced with the prospect of making a huge life changing decision to move full time into a converted van we did what all people of our age do, researched the hell out of it on Google, Youtube, Instagram and Facebook. We wanted to know the truth about vanlife and so set about engaging with the community of people who were actually living it. We found a wealth of pictures and articles on why vanlife was so amazing but no one who seemed to be giving us the truth about vanlife, what it entailed day to day and the limitations of it. It wasn’t till we joined some closed groups about full time van living that we started to get some answers about what we could expect. There we found question after question and hundreds of responses debunking the myths of vanlife that we see on Instagram daily and only then did we start to get the truth about what we were embarking on and what we could expect. Yes the road is alluring, the park ups can be breathtaking and the freedom is endless, but before you sell all of your belongings and sack in your job for a life on the road there are a few things you really should consider. Living in a van is not free. I can’t stress that enough. Yes we don’t have to pay the major bills that people pay when living in a house, we don’t have rent or internet bills, no water rates or electricity bills but there are still plenty of costs to living in a van. As with all ways of life you can live as frugally as you want to, you can subsist on a bag of rice and a jug of water but that’s not an existence that I want to live! We were sure that when we decided to live in a van that we wanted to continue to enjoy our lives as we had done before, and this meant eating well and doing the things we loved, all of which cost us money. On top of general living costs you now have to factor into your budget an increased fuel bill to cover all of your moving around from camp spot to camp spot, the cost of gas in your van for your cooking and heating as well as the inevitable repairs which come from driving around so much. There are things we do to attempt to mitigate some of these costs. We slow down the pace of our travelling, a benefit of which means we are able to stay in one place for longer periods and really experience the culture rather than passing through like a tourist limited by a week long break. This slower pace of travel means we don’t burn through as much fuel as we eek our way around Europe and the UK. We also work online while we travel (which we’ve covered in our Making Money on the Road post) which brings us in enough income while we’re working to offset some of our costs as well as prepare ourselves for the maintenance costs as well as the dreaded insurance renewal and MOT. One truth about vanlife often missed is that those things you consider to be the essentials in your life are going to have to change. 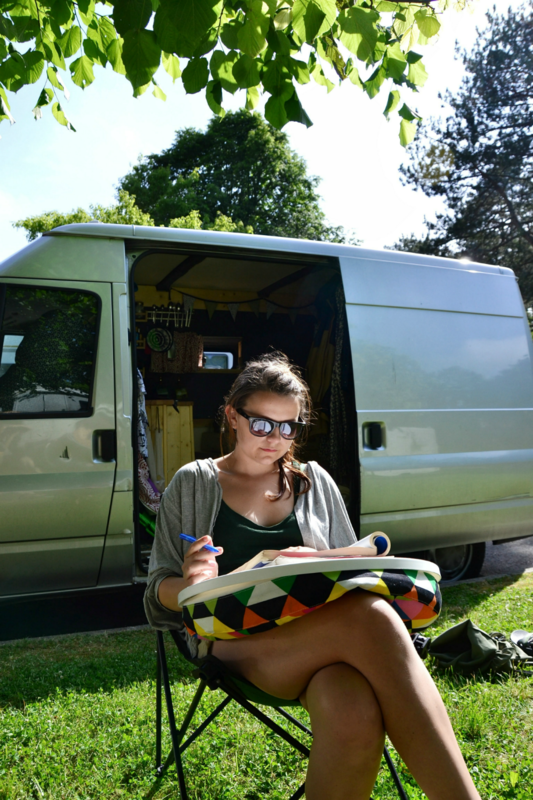 Your standards are going to have to drop in certain respects as the freedom of van living comes at a cost. Gone are the morning showers and the long soak in the bath after a hard day. Say goodbye to limitless wifi and binging on the latest Netflix. No more regularly clean clothes or dishes, large wardrobes and easy hot water. The harsh truth about vanlife is that it is all about compromises in exchange for opportunities. Despite all of this compromise I guarantee you that you won’t care that you’ve worn the same t-shirt and jeans for 3 days straight when you are opening your sliding door and stepping out in the morning to look out on a beautiful sunrise over a lake. The dirty mug still holds your morning coffee fine despite it having some of yesterdays still inside it. 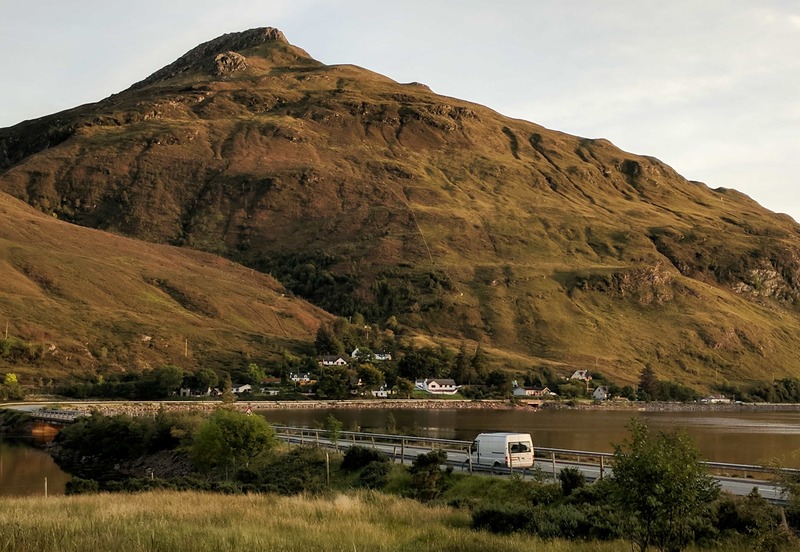 When we were reading all of these vanlife blogs before we had even converted our own van we were swept away with stories of grand adventures and beautiful road trips. We immediately set about drawing out a route for us to take, covering country after country and attraction after attraction. We were ready, or so we thought. When we finally arrived in France onto the mainland of Europe we soon realised that we didn’t want to drive 7 hours each day to get to an attraction and then drive straight off to make sure we got to the next one. WE didn’t factor in that our van would be too big for some single track roads or that traffic would exist. We frankly hadn’t seemed to have factored in that we would want to eat or sleep it seemed! As we started moving further and further inland we realised that actually we enjoyed all of the things we hadn’t planned for far more. The national parks we’d come across purely because we wanted a rest, the small towns we stumbled across in search of a place to refill our water. It became clear that it was pointless for us to try and plan. Everything takes longer in the van and just because you are abroad and travelling it doesn’t mean you want to stop relaxing and taking life slowly. 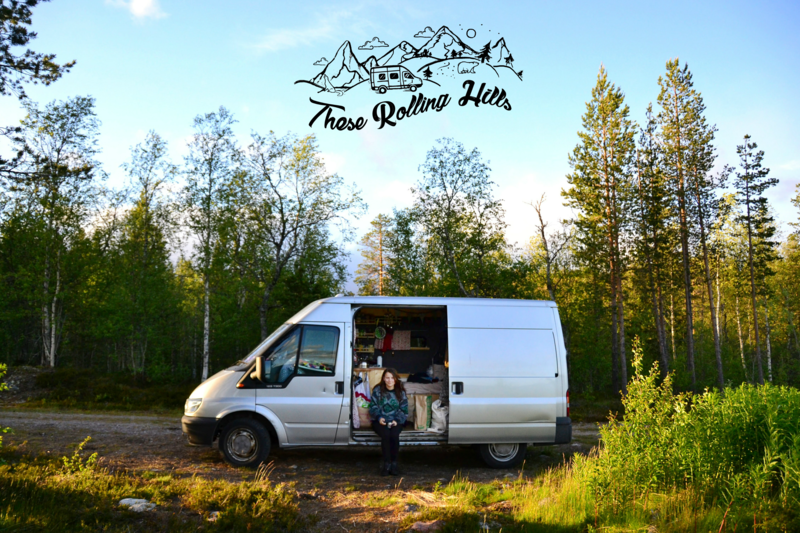 When we stopped planning so meticulously we started feeling less stressed about not achieving anything and started enjoying van life a lot more. All of the photos we post on Instagram of our van and us sleeping aside mountains and lakes are just a fraction of the camp spots we have slept in. If you only saw these you wouldn’t know the truth which is that we spend just as much time in car parks and in lay-bys as we do on beaches and in forests. Yes vanlife means we are able to explore the outdoors on foot, climbing mountains and fording rivers, but it’s never as easy to find a quiet place you can just drive up to, without other people and where you can unpack all of your outdoor furniture when you’re on top of a mountain. More often than not we end up having to park in a nearby car park. We soon discovered that so many of the wonderful photos we’d seen of perfectly picturesque camp spots and park ups are found on campsites where you have to pay and if you see our earlier points on budgeting you’ll realise that this is a cost we can ill afford if we want to continue to live at our current life standard in the van. Everyone will tell you that vanlife is wonderful, that it offers you so many opportunities to travel and explore all from the comfort of your own home. It gives you an immense amount of freedom and is something we wouldn’t trade in however the real truth of vanlife is that it is not for everyone. It’s not a solution to lifes problems or is it going to give you a direction in life. It is a life like every other, a life of compromises and limitations. Like all ways of life you have to be prepared for it to all go wrong and be hardened to what it will throw at you. The truth about vanlife is that it is a life of compromise but a life we enjoy living.